Have you ever had one of those days where you feel like you just can’t ‘mom’ anymore? I have! If I’m perfectly honest with you, I’ll confess, I’ve had many. When I heard that Heidi was writing Bible Promises for Moms I was really excited! I know if Heidi is writing something, it’s going to be good. Let’s face it, what mom does not need daily, if not hourly encouragement? 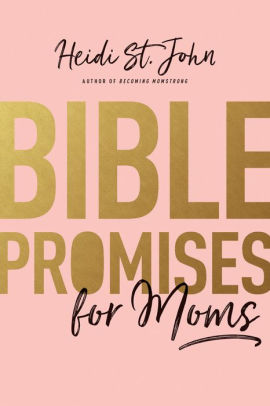 Bible Promises for Moms is exactly that- promises and encouragement for any situation or issue that may arise in our daily lives. 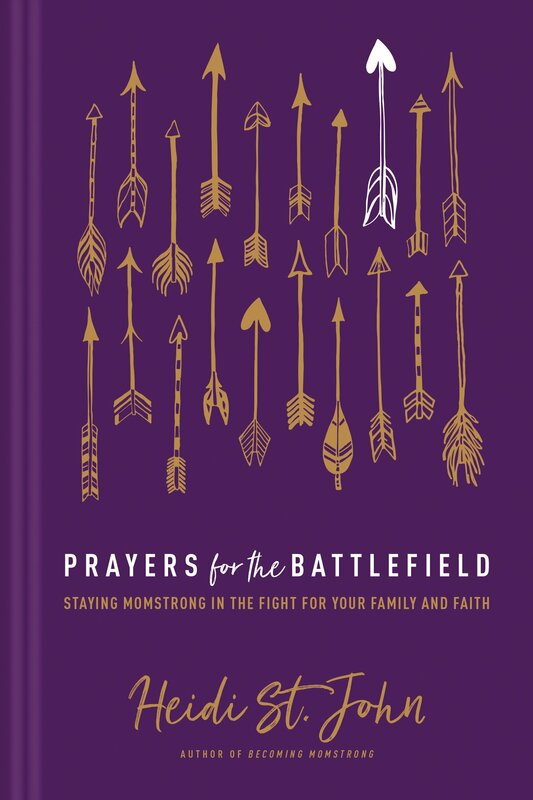 Whether you have babies or you are in the midst of releasing children into the world, Bible Promises for Moms has nuggets of wisdom and scripture for each stage and struggle. Bible Promises for Moms is small and compact and in true Heidi fashion, always points us to Jesus and His word. The subjects are arranged in alphabetical order, and cover most anything we deal with as moms. Heidi shares personal stories that will warm your heart and encourage your walk with God. Most of the time you aren’t able to pack a Bible in your purse, so this little pocketbook of wisdom is perfect to carry with you when you need encouragement on the go! I would recommend that you to pick up multiple copies. Ask the Lord to bring women across your path and into your life that you can bless and encourage by gifting them this book. I praise the Lord once again for Heidi St.John and her heart to equip women to be the wives and mothers that God has called us to be.